so anyways, i think audrey is so pretty and don't worry valerie, i will take good care of her :). so far i know that audrey loves writing, she has started working on a novel on the new vintage typewriter i just found today!!! i'll post photos super soon. also i have a couple from the craft show yesterday which was amazing! i had so much fun. more on that later too. 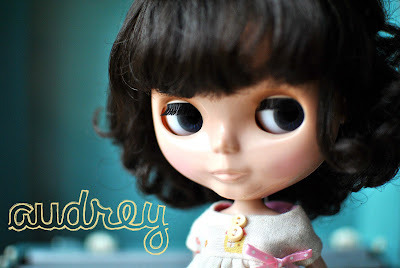 That is the cutest Blythe I've seen!! I've always wanted a Blythe Doll but I'm so cheap haha! 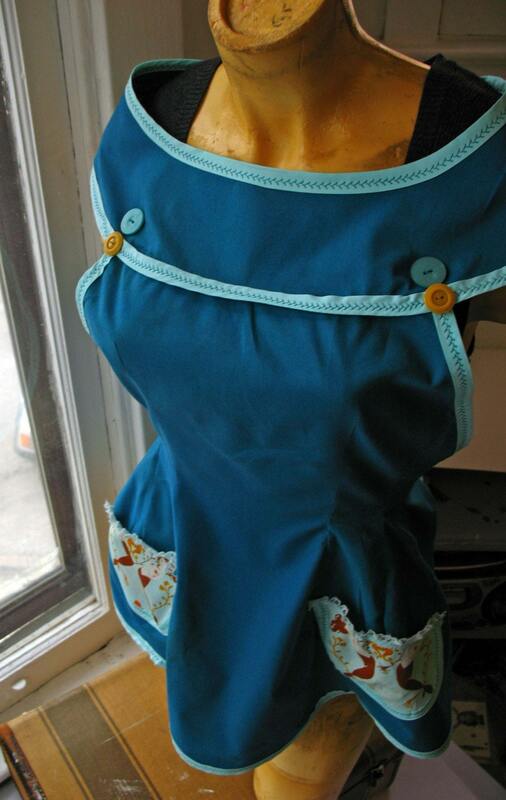 *___* OMG that apron is just adorable! Oooh she's adorable! You make me want to start collecting Blythes! I agree with the name change - she is a clone of Audrey Horne! Love her! she's so beautiful! & i love the apron! cute! i am having a giveaway on my blog! come follow and enter! i am giving away MAC, OPI, and essie! good luck!